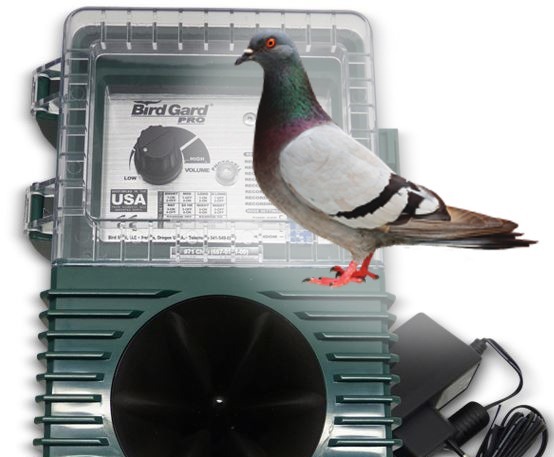 This bird repellent is intended rather to protect buildings and facilities. 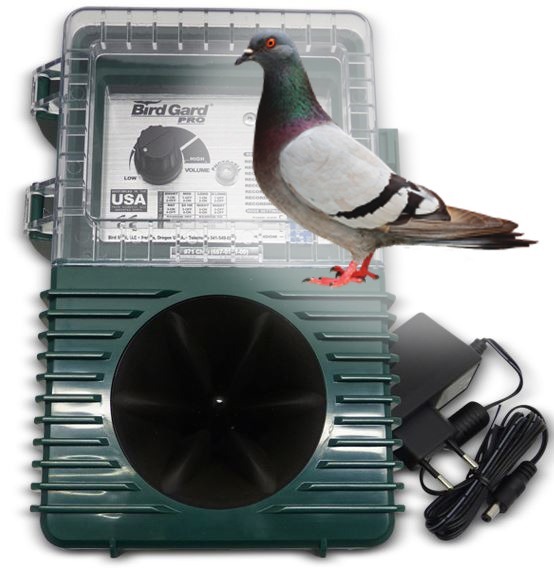 The device makes a specific pigeon’s alarm call that frightens birds. Operating range without additional speakers is up to 0.6 hectares.